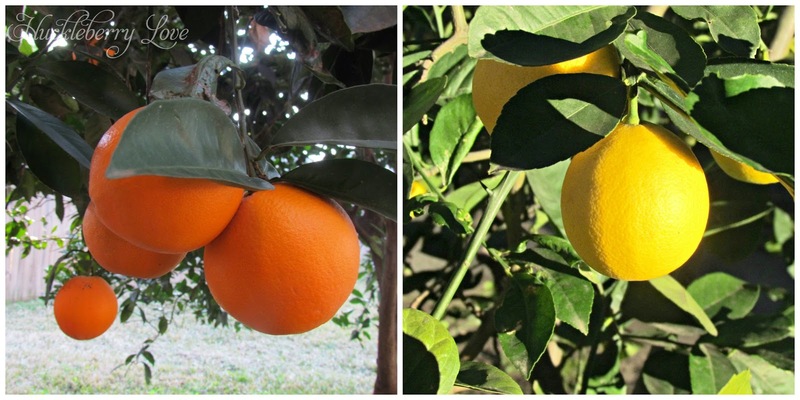 Another great advantage to living in a sub-tropical climate, is the addition of fruit trees to your landscaping. When we first moved into our home, we were a bit overwhelmed by the number of plants in our backyard. They included: 1 fig tree, 1 persimmon tree, 1 lemon tree, 1 orange tree, 3 papaya trees, 4 plantain trees, 1 GIANT rosemary bush and atleast 15 aloe plants. Talk about plant overload! There's nothing quite like walking out into your backyard and picking a ripe orange off the tree for your afternoon snack. 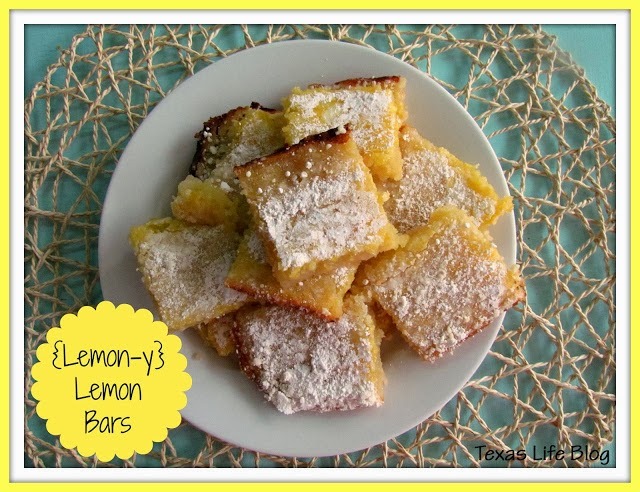 Or simply plucking a few lemons off the tree to use in your favorite lemon bar recipe. 2. Mix together your crust ingredients. Spread into a greased 9x13 pan. Bake for 18 minutes, or until lightly browned. 3. Combine filling ingredients. Stir until well mixed. Pour on top of baked crust. Bake for 20 minutes. 4. Dust hot lemon bars with powdered sugar. Spread with a knife or spatula to evenly distribute. Let them cool completely (atleast 45 minutes), then cut into squares. 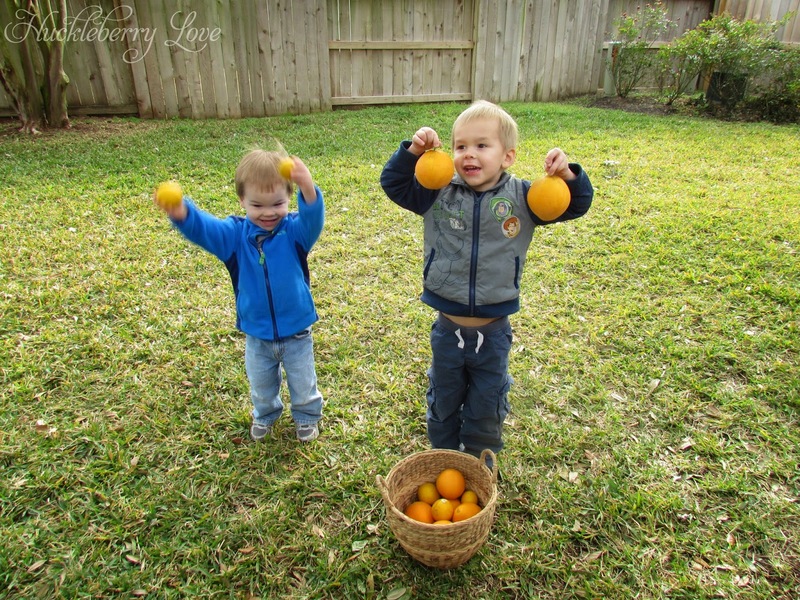 Do you have any fruit trees in your yard? What's your favorite lemon recipe? We'd love for you to share it in the comments! 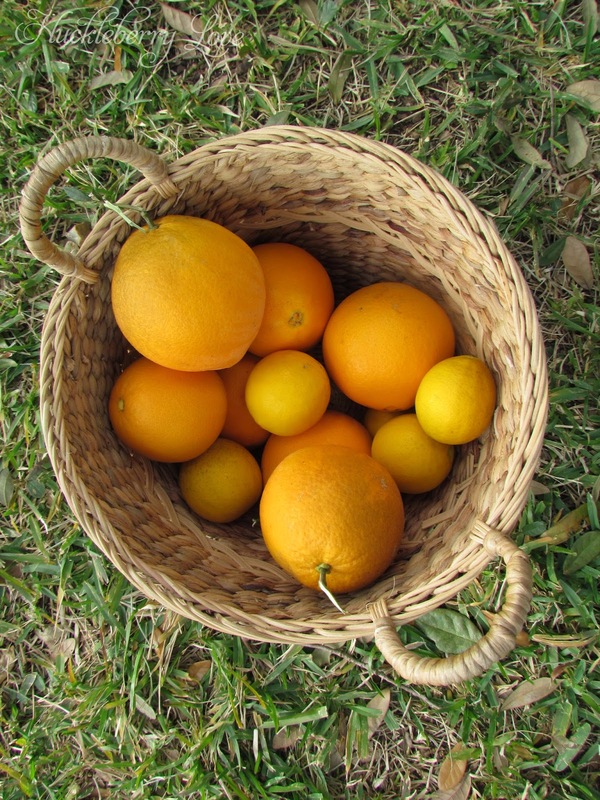 You are so lucky to have fresh citrus growing in your yard! It must smell heavenly when the trees are in bloom! I truly love oranges and lemons. My father grew up in Florida and worked in the orange groves as a kid. I guess it is in my blood. I pinned it. Thanks for linking up to Saturday Dishes Blog Hop.